Happy Valentine’s Day! 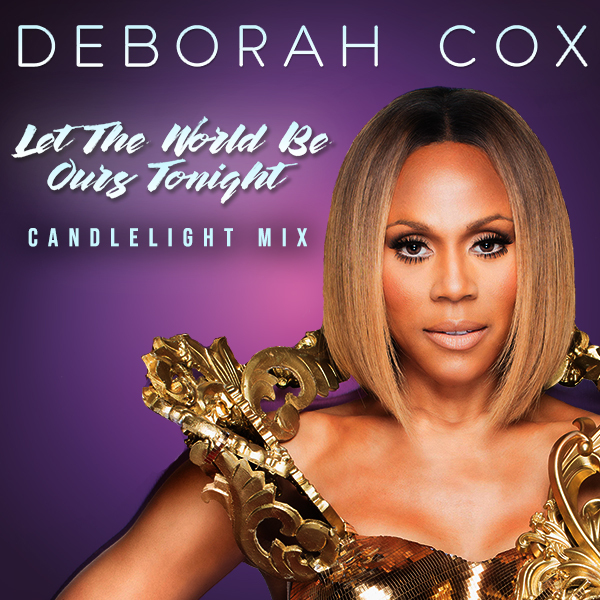 Radikal Records is excited to share a new heartfelt rendition of Deborah Cox’s latest number one single, “Let the World Be Ours Tonight (Candlelight Mix)” today, February 14th, 2018. Following up the successful release of the “Let the World Be Ours Tonight” single and remix package, Radikal Records has released the new “Let the World Be Ours Tonight (Candlelight Mix)” just in time for Valentine’s Day. The new “Candlelight Mix” featuring Deborah Cox’s infectious dance pop tune is a stripped-down piano ballad that incorporates nostalgic elements such as electronic synths reminiscent of 80’s love songs. The result is a powerful new version of “Let the World Be Ours Tonight” in its own unique way, and is sure to be enjoyed by many this Valentine’s Day 2018. Deborah Cox’s powerful vocal performance on “Let the World Be Ours Tonight” makes a strong statement about overcoming adversity. “Let the World Be Ours Tonight” is a powerful anthem that beautifully delivers her message of acceptance, hope, and love, a theme which has helped her become a beloved figure in the LGBTQ community. Now, “Let the World Be Ours Tonight (Candlelight Mix)” gives the uplifting anthem even more significance and emotional power for listeners to draw from. “Let the World Be Ours Tonight (Candlelight Mix)” is now available on Apple Music, Amazon, Spotify, and Google Play.